I was given complimentary tickets in exchange for sharing our adventure with you. No other compensation was received. All opinions listed are my own. My family and I went to Florida in September. We had an amazing week long vacation there where we stayed at Global Resort Homes, visited Gatorland, Sea World, and took a ride on an air boat through Boggy Creek Airboat Rides. This is the closest airboat ride to all the Orlando, Florida attractions. Enjoy one of four unique airboat adventures and idle along canals to find exotic birds, turtles and the Florida alligator wallowing in their natural environment. 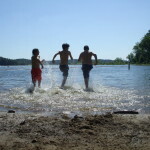 Then soar atop the swamp water at speeds reaching 45mph. You’ll feel like you’re flying through the wetlands as you enjoy the best Everglades experience in Central Florida. 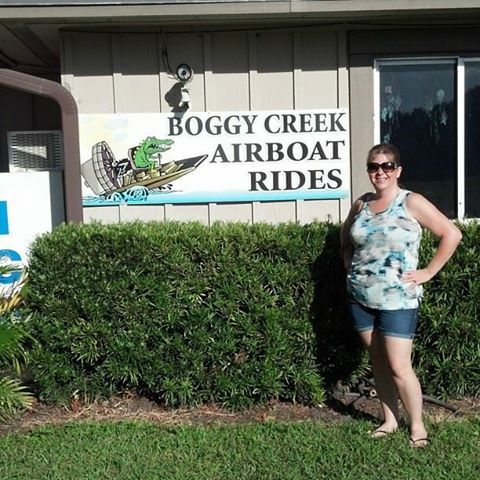 If you are a homeschool family who would love to create a way for your child to learn a little history and have a TON of fun, take a boggy creek air boat ride. Looking out over the water, I couldn’t help but feel at home. I have grown up around the water and have spent many a day on a boat, fishing with my daddy. Our family and several others boarded a huge air boat and were given headphones to protect our hearing. 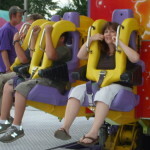 We then settled in for an awesome ride. 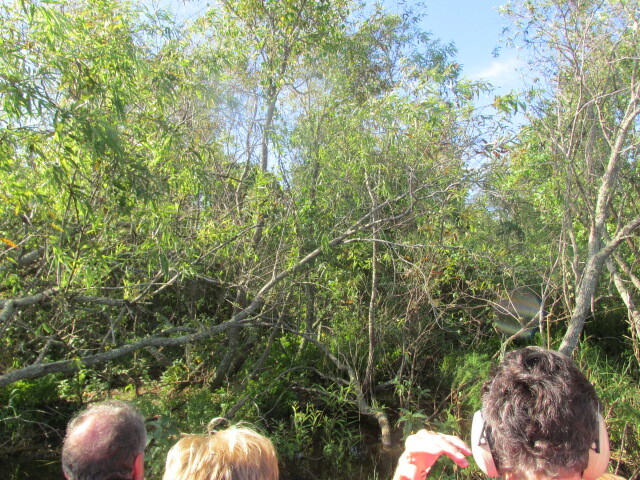 The guide swayed us back and forth and even pushed us up into a brush pile hoping to get a glimpse at a brand new bunch of baby alligators that had just been born the week before. Unfortunately the momma gator had already moved her brood somewhere else. I was so hoping to see a real gator (not the kind behind glass, but a real one). 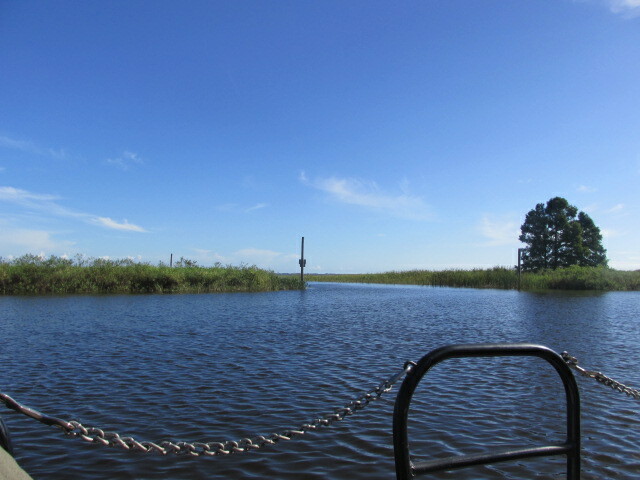 Our guide took us further down the lake and shared the history of the area with us. 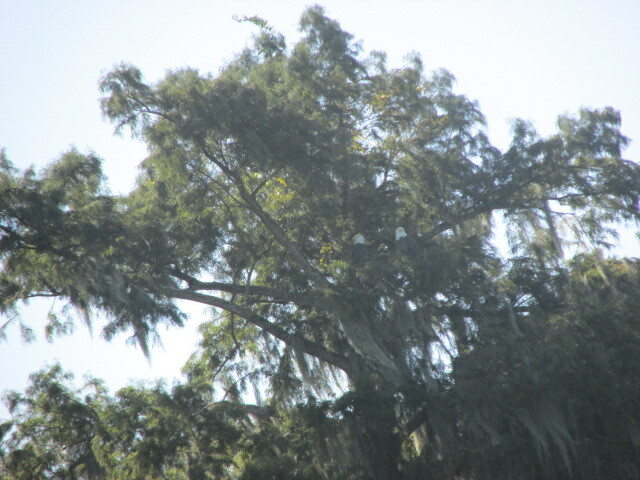 It was really cool to learn about the trees and all the cool stuff hanging from them. After taking us all the way back into the lake, we headed back out only to find this waiting for us around the corner. Everyone on the boat started clicking away with phones and cameras. 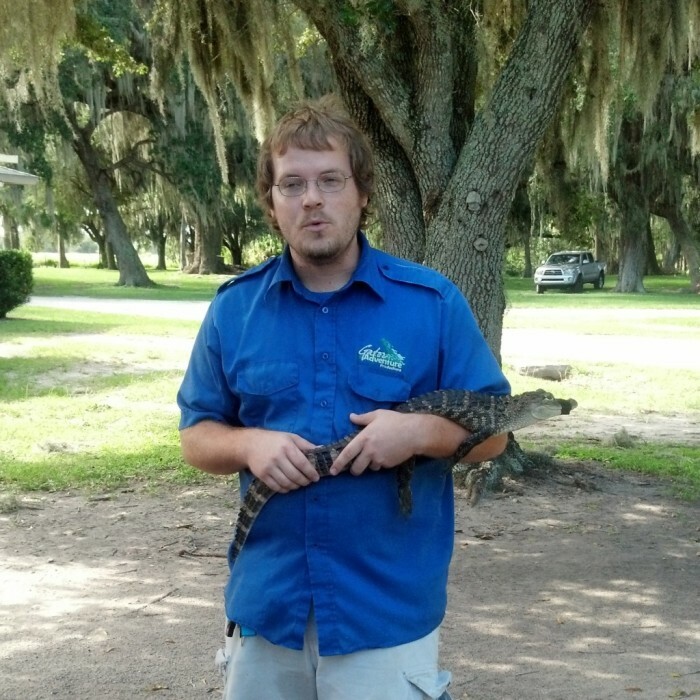 Yep — that is one big ole gator right there! 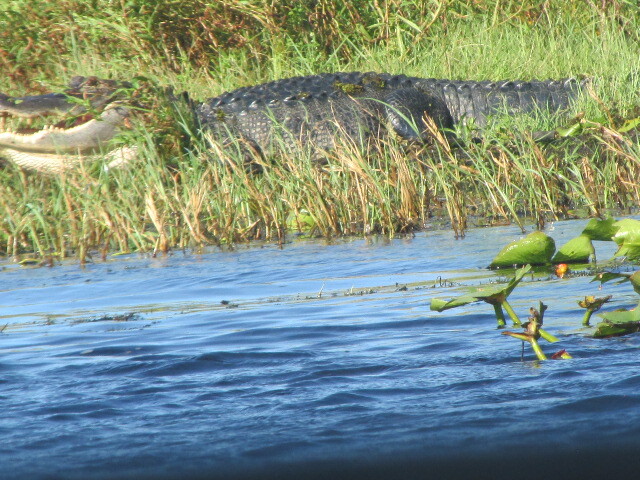 The guide said the gator was showing off for us because they never stay put once the boat comes through. 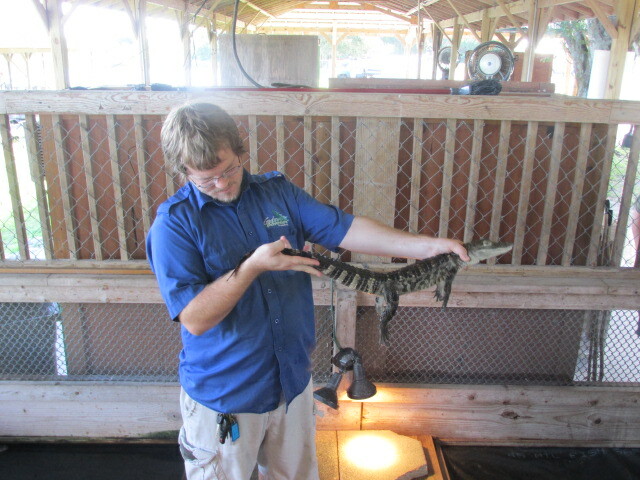 However, this gator just stayed in the same spot and allowed us all to get an up close and personal look at her. After the ride was over, we got to listen to a man share a little more history with us and show us the gators that he had in a pin. Most of these were injured and they were nursing them back to health. I asked the guide if anyone had ever told him he looked like Jack Black. He said no, but he thought he looked like Jack Black too. We had an amazing time and I cannot wait to take another Boggy Creek Air Boat Ride the next time we are in Orlando. We're Off to Visit Florida!